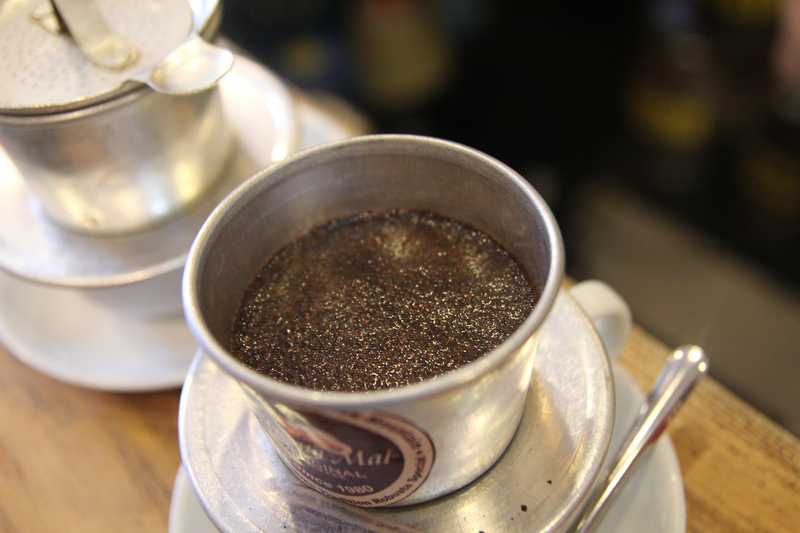 To enjoy Vietnamese coffee at its best, there is no other way than using Vietnamese Phin filter. 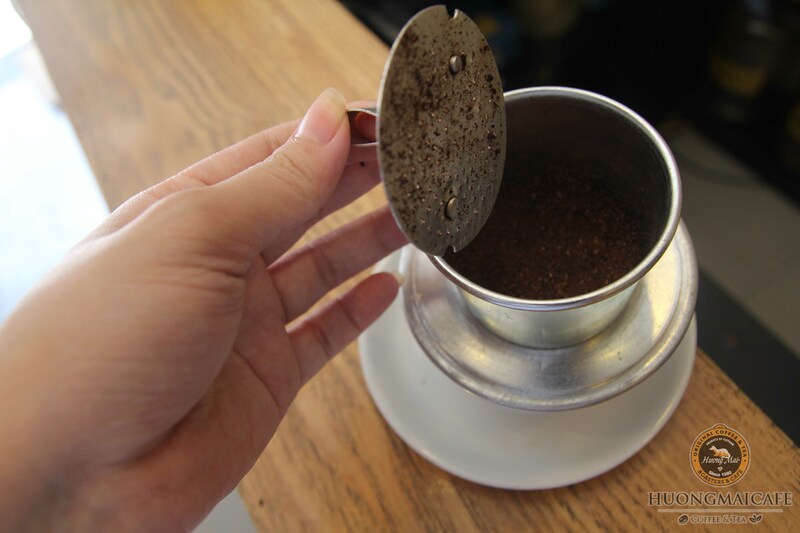 Vietnamese Coffee Filter is a special tool that helps you to make dense and quality coffee. Dripping coffee has become an indispensable culture of the Hanoian, if you are a coffee drinker, don’t miss this while travelling in Vietnam. This tool is usually made from metal or ceramic, metal is more concrete but ceramic will keep coffee warm for longer. 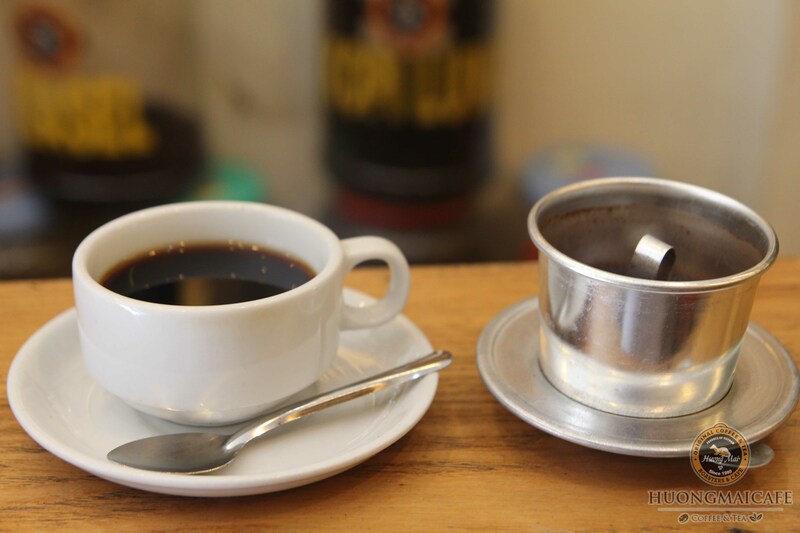 In this post I will show you how to use Vietnamese traditional coffee maker made from aluminum, a popular coffee Phin filter in Vietnam to make a regular cup of coffee using Weasel Legend Coffee by Huongmai Café, fine grinded. First, swill Phin filter and your cup by boiling water. - Put into the filter cup 3 full tea spoon. - Shake it to flatten coffee powder, lightly press it down. Remember not to press the powder too hard, hard pressing will prevent coffee from dripping. Pour 30ml of boiled water to warm up the coffee powder as well as the cup. Cover the cup by its cap, wait 1 – 2mins ‘till the powder absorb all the water. - Put on enough water, don’t make it too much. Water is not allowed to drip out in this step. - When the powder starts to dry up, use the round, holes dotted tool to press it down. This step is very important, it decides whether your cup of coffee is tasty or not. If you press it too hard, water can’t drip out or making the coffee extremely dense, in contrast, loosely press will make your coffee light or maybe tasteless. 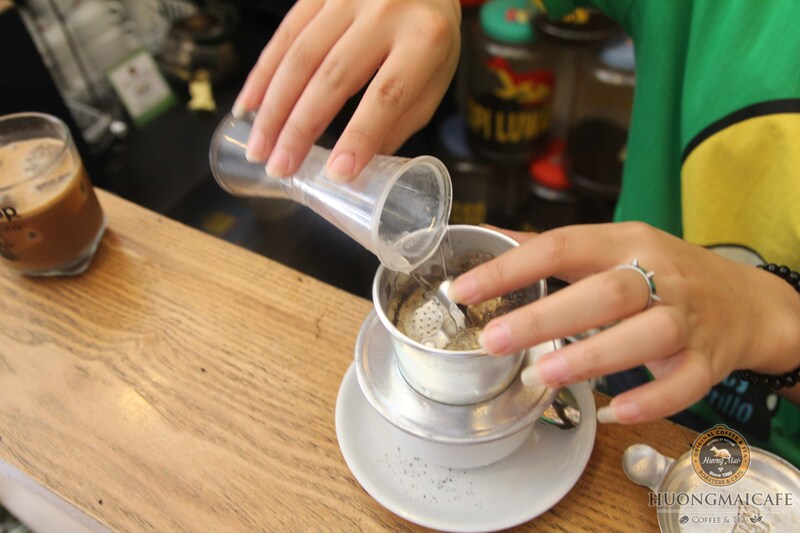 - Pour 30ml of boiling water into the filter cup, while still holding pressing tool. Wait 2 – 3 mins then repeat this step but this time with 40ml. Remember to cover the cap after each step. Now wait until the all the water drip out. - Drinking with condense milk: Add condense milk directly into empty cup at the 1st step, the recommended portion is 30 – 40% in compare with the amount of water. - Drinking with sugar: Sugar should be dissolved in water before adding into coffee. - Drinking with ice: in case you want to drink with sugar, add sugar before adding ice. Ice cube must be long frozen ice cubes which take longer time to melt. Drink it up before the ice melt out. - If you don’t like the acidity contained in the coffee, add 1 or 2 grain of salt inside your cup. Now enjoy your cup of Pure Weasel Coffee !